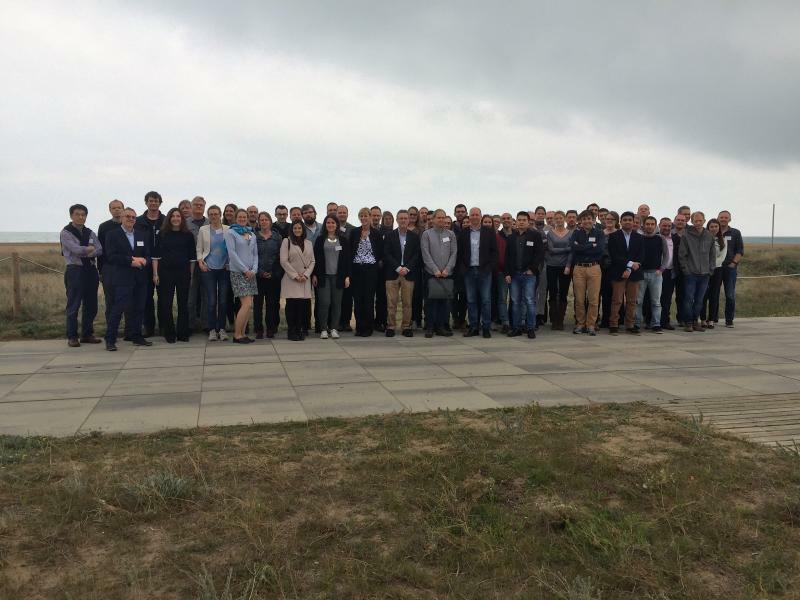 On 14-16 March 2018, some 50+ researchers from across the STEMM-CCS partnership gathered in Castelldefels on the NE Spanish coast to share results and discuss progress on the project to date. Now at the half-way point in the project, the teams are beginning to accumulate significant datasets, and are gearing up for another busy cruise season to collect all the baseline data they need ahead of the main controlled released experiment in May 2019. The STEMM-CCS participants on a less than sunny Castelldefels promenade! The meeting comprised a series of presentations by work package leaders and individual scientists, which reflected on achievements to date but also offered the opportunity to look ahead to activities in the coming months. A significant amount of time was devoted to planning the strategies and logistics for seagoing expeditions coming up later in the year, which will collect further baseline data from the Goldeneye site. As well as scientists from across the Consortium, meeting participants also included representatives from the project's Stakeholder Advisory Board - Tim Dixon (IEAGHG), Katherine Romanak (University of Texas at Austin) and Mark Chapman (University of Edinburgh) - who gave very positive feedback on their impressions of STEMM-CCS' progress to date. 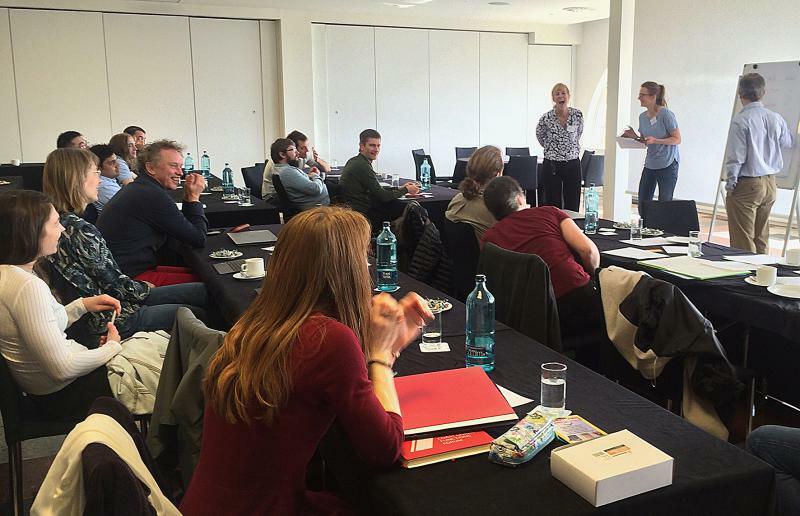 Postdoctoral researcher Anita Flohr presents her team's findings from the practical exercise to facilitators Katherine Romanak and Tim Dixon and the rest of the STEMM-CCS training event participants.